Australian Institute of Packaging (AIP) congratulate Sarah Cameron, Faculty of Design, Swinburne University of Technology, VIC, for being awarded the 2008 Southern Cross Judges Rationale Award, which is sponsored by the Institute. The Southern Cross Awards are a national packaging competition aimed at tertiary students studying design at Universities, TAFEs and Private Colleges. Students are provided with briefs, developed by the sponsors, and are required to produce innovative solutions to packaging design. The Judges Rationale Award is for the student who produced excellence in research, documentation and presentation of their rationale. Sarah Cameron has met all mandatory requirements specified in their brief. The name of her entry was Barricaid. Sarah’s entry Barricaid came from the Packaging Solutions brief. 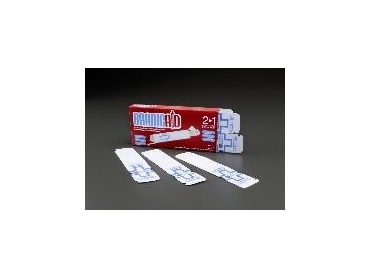 Her concept provides an antiseptic wipe and an adhesive bandage in one convenient package. Her rationale was a step ahead of the rest. She presented her research in a logical format with clear headings. The use of diagrams made it easy for the Judges to follow production and usage of her design and tables were helpful in conveying her research. Overall her rationale was written and presented professionally while meeting all the requirements for this Award.